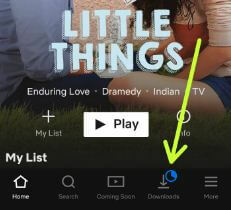 Want to download Netflix shows and movies for offline viewing on Android or iOS? 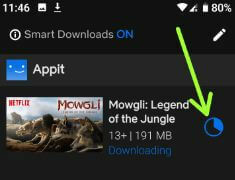 Here’s how to download Netflix movies to watch offline on Android device. 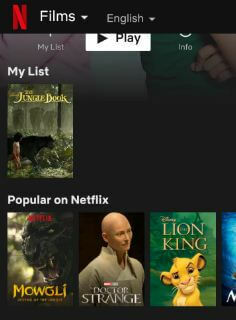 Make sure subscription with Netflix account to enjoy movies and TV shows in your android or iOS, desktop PC or laptop devices. Not all Netflix videos can be stored offline. You can download movies, individual episodes of series & TV shows, drama and more entertainment. Also use smart downloads to automatically download next episode and remove previous episode in your Smartphone. 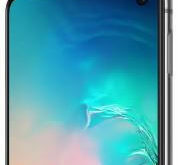 Follow below given step by step process to download Netflix movies to watch offline on Android phone or tablet. Downloaded TV shows & movies can only be viewed offline on the device you downloaded. Also change Netflix video quality before download videos in your android phone using below given settings. Now let see complete process to download Netflix videos for offline viewing in android or iOS devices. Step 3: Select Genres from Indian / American / Family / Action & Adventure / British / European / Kids / Drama and more. 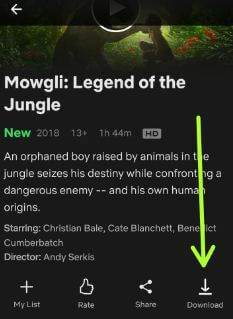 Look for download symbol to download movies and TV episodes to without using mobile data. Now wait until downloading videos in your android or iOS device. 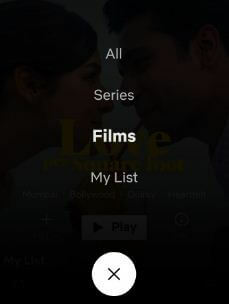 You can see list of downloaded shows, movies and other videos in your android or iOS devices. And that’s it. We hope this makes it clear how to download Netflix movies to watch offline on Android phone. If you have any kind of trouble, tell us in below comment box. Don’t forget to share with others.